Raven spray control system (SCS). Equipped with 6 boom switches. 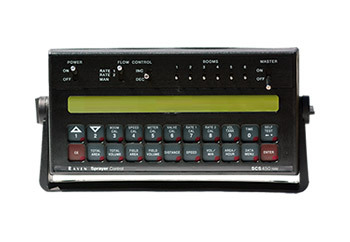 Raven spray control systems (SCS) have been setting the standard for outstanding performance and everyday reliability and operation for more than three decades. That same measure of excellence continues today in our full line of SCS consoles, specially designed to match your application needs reliably and economically.